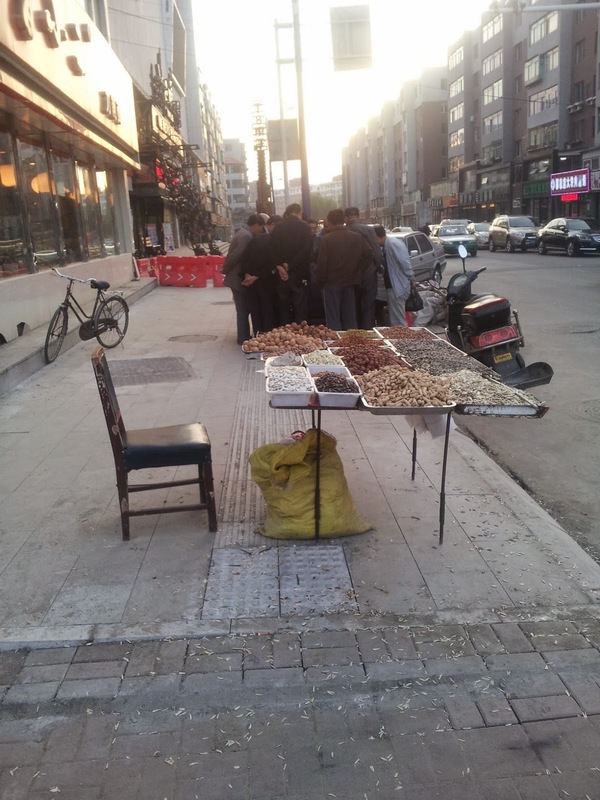 Every day on this corner they play Chinese Chess. And every day the guy who runs the nut stand is watching. It must be a pretty good level of competition, they get a good crowd. If you want to buy some nuts or seeds you are going to have to get the guy's attention !